But, the main difference between an abstract class and interface in Java 8 is the fact that an abstract class is a class and an interface is an interface. A class can have a state which can be modified by non-abstract methods but an interface cannot have the state because they can't have instance variables. The second difference is that an interface cannot have a constructor even in Java 8 but you may remember that abstract class can also have a constructor in Java. All methods of an interface were abstract but since Java 8 you can define non-abstract methods in the form of default and static methods inside interface in Java. This brings many questions to come to mind, which we'll discuss in the next section, btw, if you are new to Java world and just started learning Java, I suggest you use a course which is up-to-date like The Complete Java MasterClass on Udemy because Java is changing very fast. In just a year we have moved from Java 9 to Java 12. Thankfully this course is up-to-date and the author tries to update it with every Java release. Prima facia, in Java 8, an interface looks like an abstract class and one can reason about, can we use interface with default methods in place of an abstract class in Java? 1) Abstract classes are classes, so they are not restricted to other restrictions of the interface in Java e.g. abstract class can have the state, but you cannot have the state on the interface in Java. 2) Another semantic difference between interface with default methods and abstract class is that you can define constructors inside an abstract class, but you cannot define constructor inside interface in Java. In reality, default or defender methods are introduced to maintain backward compatibility and same time making Collection API more suitable to be used inside key Java 8 features like lambda expressions. Without adding default methods, it wasn't possible to declare any new method on the existing interface in Java without breaking all classes which implement it, but because of default method, you can now better evolve your API. They defend your code against implementing new methods hence they are also called defender methods. If you want to know more about default methods or new changes in Java 8 in general, I suggest you check out the What's New in Java 8 course on Pluralsight. It has more than 5000+ good quality courses on all the latest topics. Since we programmers have to learn new things every day, an investment of $299 USD is not bad. That's all about the difference between an Abstract class and Interface in Java 8. 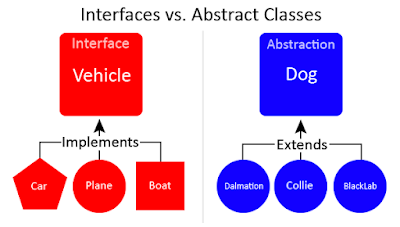 Though I certainly agree that difference between abstract class and the interface has reduced with the introduction of default methods, as well as allowing static methods inside interface and their usage will evolve once Java 8 become a mainstream Java development version, but you must remember that an abstract class is a class and an interface is an interface. The key difference is that abstract class can maintain state but the interface cannot, and an abstract class can also have a constructor which is not allowed inside interface even in Java 8. If you are designing API then use interface and if you are abstracting both state and behavior then use an abstract class. P. S. - If your goal is to learn new features introduced in Java 8 then you can also check out the Java SE 8 New Features course on Udemy which only focuses on new features and nothing else. What do you mean by "abstract class can have the state"? Hello Eugene, I mean abstract class can instance variable which can hold values. They should've left interfaces for pure abstraction and added something like delegates for lambdas like in C#. The bridge between abstract class and interface is very very thin now. It's just that lambdas can only be used with f interfaces otherwise abstract class could do the same job. Also, you can extend only one abstract class, but you can implement as much interfaces as you would need right?